BMCC Students who participated in the pilot design/work program at Borough of Manhattan Community College (BMCC) are: (from Left to right) Nathalie Eugene, Stephanie Erazo, Professor Claire Ultimo, Candice Shelbrack, Tedford Garbutt, Ranisha Robinson, Naomi Bonilla, Camila Ardila, Jennifer Chang of Educational Alliance, and Professor and program founder Janet Esquirol. At Langton Creative Group we like to combine our passions for design and education so we couldn’t refuse when Prof. Janet Esquirol invited us to participate in this innovative program within the Media Arts and Technology department at BMCC. Over several weeks we art directed projects by seven college students who applied to this pilot program giving students paid real-world design experience. The BMCC students created new program promotions for the early childhood development programs that Educational Alliance (EA) runs for low-income families at six locations in the lower east side of Manhattan. “We matched the students—who want real design experience—with Educational Alliance, a nonprofit organization that really needs strong communication tools,” said David Langton, president of Langton Creative Group, who served as the creative director and client liaison. 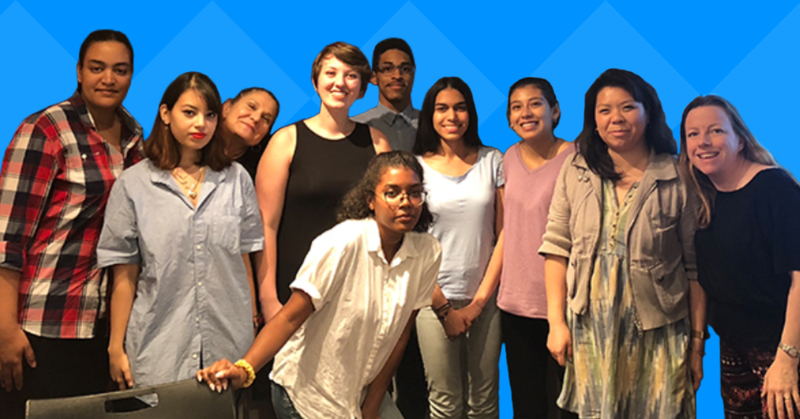 The students interviewed the clients, Anya Hoerberger, Senior Vice President for External Engagement and Jennifer Chang, Director, Family Engagement and Enrollment at Educational Alliance. They learned that Educational Alliance runs one of the best Head Start programs in the area but needed better communication tools that tell their story, show the basic information in a visual manner for an audience where English was often their second language and, ultimately, build up enrollment rates. 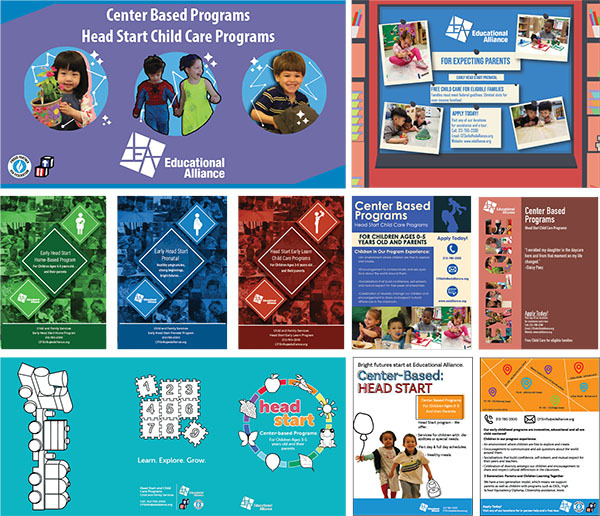 Samples from the students work that shows the range of design solutions created to promote the early child care programs at Educational Alliance. Do donors understand your nonprofit cause?